The Plot: After her husband, Hal (Alec Baldwin) turns out to be a swindling con-artist, the previously-wealthy Jasmine (Cate Blanchett) relocates to San Francisco to live with her poor sister Ginger (Sally Hawkins). Though she has a history of nerve issues, recent events have caused Jasmine to go a little crazier than usual. She’ll have to struggle with her anxiety, the dramatic shock of a rapid social status shift, unresolved family issues, and a seemingly endless stream of douchey men who want to go out with her. So yes, as I may have implied in my opening paragraph, I am not the biggest Woody Allen fan in the world. Every now and then I consider the possibility that I should attempt to re-watch Annie Hall, but then I just remember how much I hated it, and leave it at that. As a very general rule of thumb, I tend to feel much more positively about Woody Allen films in which he does not make an appearance. As an actor, I hate him about as much as I hate Quentin Tarantino. He irks me in ways that no one deserves to be irked. Despite this, I do not terribly mind the Woody Allen character type. He is the main character in most of his films. Owen Wilson, for example, did a really superb job playing Woody Allen in Midnight in Paris. 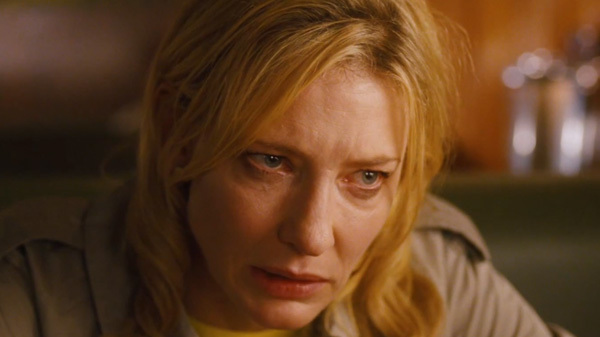 So, when I saw that Cate Blanchett was the lead in Blue Jasmine, I was intrigued. It’s unusual for him to do that (though not entirely unheard of; see Vicky Cristina Barcelona). 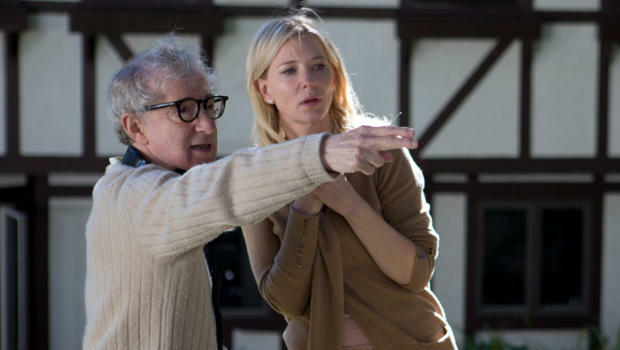 Indeed, as the film began, I was perfectly comfortable to see that, yes, Cate Blanchett was in fact playing Woody Allen. All was right and simple in the world. Later on in the film I considered that the characterization might be more layered than that, but I’ll address such things later. Because I just don’t see the resemblance. Woody Allen, like the aforementioned Quentin Tarantino, or like Wes Anderson, Christopher Nolan, Steven Spielberg, Martin Scorsese, or Ridley Scott, is always capable of assembling a stunning ensemble cast. Blanchett, Baldwin, and Hawkins are joined by (pardon the passive voice) Peter Sarsgaard, Louis C.K., Andrew Dice Clay, Bobby Cannavale, and others. A lot of people want to work with this dude. As such, his films always feature these great sprawling casts, but what I begrudgingly have to admit is his chief strength as a writer is his ability to focus. Some writers would tend to get carried away, heaving character upon character and never going anywhere with it, never fully developing anyone, and only sparsely developing some. 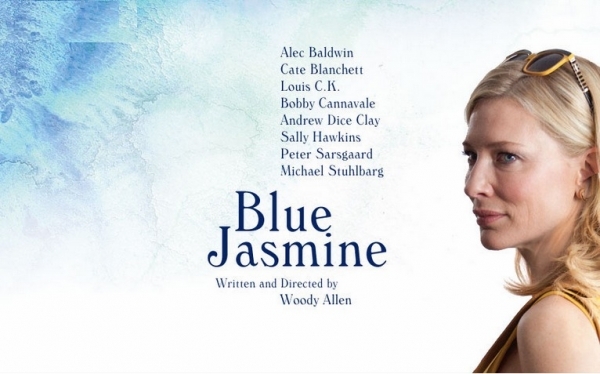 Woody Allen, through his precise and often very funny dialogue, not only holds the focus on Jasmine, but is also able to present fully-realized supporting characters. Granted, he’s been writing screenplays for about sixty-three years, so he’s honed his technique pretty well. “Don’t worry, guys. I got this.” – Actual Woody Allen quote about writing. Of course, not all of the credit can go to Woody Allen. If your sprawling ensemble cast, however well written, lacks talent, then you’re in bad shape. Fortunately, his ensembles are always capable and fun to watch. I mainly have to focus on Cate Blanchett, though. Last week I was talking about some actors who treat every performance like it could be an Oscar win. You could pick any one of their movies and see their full potential and be totally blown away. I named Michael Shannon, Gary Oldman, Michael Fassbender, Rachel Weisz, Jessica Chastain, and Carey Mulligan. I guess you can toss Cate Blanchett onto the list, too. I don’t have that much to say about her in this movie. She’s perfectly suited for the role and gives, yeah, an Oscar-worthy performance. It’s a somewhat different role than what she often plays. I have a tendency to think of her as Galadriel, not because I think that was her best performance or because that was career-defining, but because she was the most perfectly suited for it. I don’t think she really had to act for that role; my sneaking suspicion is that she is secretly Galadriel. Jasmine is pretty much the polar opposite of Galadriel. She is what the kids these days would describe as a “hot mess.” Indeed, she spends much of the movie drunk, freaking out, crying, or just generally flustered. She can’t hide her true elvish nature, though. It’s in the hair. Regardless of the situation or what personal state she’s in, her hair looks amazing. Let me just throw some adjectives at you before I move on: stunning, golden, voluminous, majestic, heavenly, divine, sublime (in the Romantic sense). Okay, I’m good. This is the worst it ever gets. This. So, going back to earlier when I said “I’ll address such things later.” Remember that? Okay. At first, I did think that Cate Blanchett was Woody Allen, and it wasn’t until pretty late in the film when I began to second guess that. 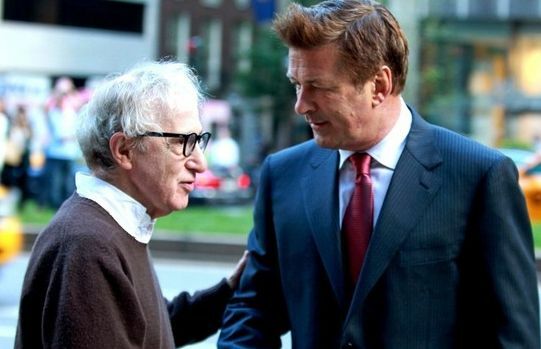 There’s a scene where Jasmine is confronting Hal about his various affairs, including the most recent one with a teenager and it occurred to me that maybe Alec Baldwin was Woody Allen, just far more smooth, handsome, and charming. Allen’s turning seventy-eight this year, and I’m wondering if he isn’t beginning to feel really, really terrible about a few scandals, which for now will go unmentioned. Jasmine is not his typical protagonist at all, and the SPOILER ALERT somewhat bitter and bleak ending is also uncharacteristic of his recent work. Final thought: I’m considering the possibility that maybe Jasmine is Mia Farrow. Maybe. I do see the resemblance. Great piece – looking forward to seeing the film soon! Thanks for the ping back !